I’m probably the last person in the developed world to make this discovery, but have you guys ever used a lingerie bag for your laundry? I just got a couple of these bad boys to help with the baby’s clothes (a friend recommended using them to wash baby socks and other stupidly tiny things that you need to wash, but don’t want to lose). And, it occurred to me that they might be great for washing hand-knits too. The whole idea of lingerie bags is that they protect your dedicates from being over-agitated in the washing machine, keeping them looking like new. And, since agitation is what makes knitwear felt, this seems like a perfect alternative to hand-washing. My (and my husband’s) stash of socks is starting to look a little bit ratty and felted. And, while I knit socks with only super-wash yarn, there’s a limit to how many hundreds of times that you can wear and machine-wash a pair without them starting to get a little worn-out and sad. It’s past the point of no return for some of my current socks, but I’m going to try using the lingerie bags to wash any new socks from now on. It’ll be a long experiment, but I think it’ll work out well. Ask me in a couple of years, and I’ll give you an update! 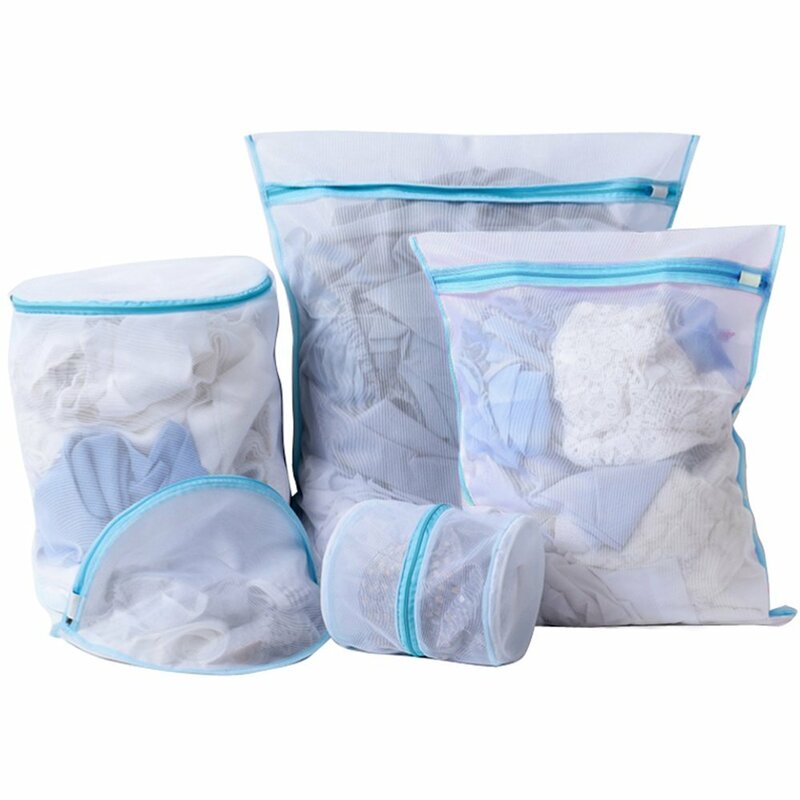 Do you use lingerie bags for your washing? Am I an idiot for never using them before? This entry was posted in FYI and tagged care, knitwear care, lingerie bag, machine wash, washing on April 23, 2018 by onemilljellybeans. I don’t use them often, mostly due to laziness, but I do have some for when I feel particularly bad for treating my bras so badly. Using them for tiny baby items is a great idea!